You can easily sign the document without scanning it. It is quite secure to trust with your signature. I can carry all soft copies of my document and print it through my wireless printer whenever required. It works as all in one briefcase for me.I can copy my signatures and save it, which can later be posted/printed to any document I need. I can change the color and thickness of the pen as well. There should be more options for capturing signature from it. I found a bit difficult from my smart phone to sign from my hand. I may need a stylus or pencil sometimes to come up with a good signed copy. This is highly recommended product, it comes with a mobile app. It helps in removing clutter from your office and one can carry a soft copy of all the documents you need. Since it is highly secure , you can worry free have a backup of all your personal documents, home lease and office documents at one place. While dealing with all the clients, I need not to go to printer at all. I carry my office in my smart phone or tablet. "Good, but a bit of a learning curve." What I liked best was that I could have what the program called "multiple workflows." For instance, when I was bringing on three contractors and using the same agreement for each of them, everyone got their own copy and I was notified when each person signed. I also liked that I had a lot of different options as far as what I could add using the program (digital signature, text fields, dates, and more). When compared to similar products, the price was extremely reasonable. SigningHub reps were always quick to answer questions when I needed help. It's a bit of a learning curve. Programs like this should really just be upload your document, set your fields, and send it on. Yet, here you have to upload your documents, add the recipients, switch the workflow (and then it makes you add the recipients again), update all of the areas that you need signed, initialed, or dated. Compared to similar products I've used with other clients, SigningHub is a bit clunky as far as the UI. Make sure that you really take the time to look through the signing options. Make sure that you understand how the different workflow options work. It solved the problem for me that I had with having an easy and secure way to have independent contractors sign their agreement, NDA, and other documents. I realized that it also stored my original PDFs which was nice. Platform-Independent, it doesn't matter if I am using mac, Linux or even iOS or Android, none of these is a problem for Signing Hub as all it need is just internet + browser and you are good to go (well for iOS app is needed but still it is really convenient) . Best of all, it is just as good as traditional signature/hand-written signature! Granted this would depend on digital law of the country but as we are moving toward digital age, it is just a matter of time. It can be a hassle on setting up and preparing an account when Public Digital Certificate is being use for setup an account however it is just a one time work and in order to ensure my digital signature is as good as my traditional hand-written signature, it is better to ensure the setup is right and after that, it is just logging in, review or prepare document then sign. If your work environment involve a lot of paperwork where signature is involve and especially signatory is not around most o the time. It is way easier to keep track and also achieve document in digital form as it does not take up a lot of space and disaster-recovery can be set up. "sophisticated and easy to use application for digital signing"
in earlier version, the user interface n look n feel wasn't catchy enough but as i reviews latest version its quite better now.i would further recommend to improve the colour scheme n design. Signinghub is a must-have tool if you have permanent customer and dealing with them on ongoing basis providing them services on regular basis.On the other hand, the company like real-estate,law firm and more like this kind of work nature should adopt digital signature approach for document n deal signing. digital signing of deals n agreements with my client using WORD document or PDF document. "Collaborative, digital, fast and legally secure signing"
I expect signing Hub being bundled with famous open source formats and platforms like open office etc. Plugins should be made available to install with these products. "Great product that completes Worry-Free Signing processes"
Knowledge of how the product incorporates security from the ground up ensures that users that are security conscious get both usability and more importantly security. Branding and Marketing maybe lacking compared to US based products. I would recommend this to people who knows the value of security. Security aware enterprise who are concerned about privacy. Modern signing requires more then a PKI certificate, SigningHub enables workflow management for signing processes to ensure a quick and secure way to sign. The best part of SigningHub is the customer service and team response. SigningHub offers the flexibility of integration with SharePoint or stand alone. Their pricing is structured into sections that should meet anyone's budget. Our specific business problem was obtaining outside vendor signatures on our internal manual rewrites. The benefits realized is the freedom from the multiple paper copies. Now everyone has the same version as signed and stored online. I like the spped and ease of use, intuitive user interface. It speeds u p the signing processes in the organization. As and European non-profit organisation, we need to connect and collaborate on various documents. SigningHUB makes it possible without any time hassles. "Flexible and easy to use Cloud based application for digital Signing"
Being an IT Professional from last many years, this is one of the best product that come to in my use, Having lot of enhanced features, The best Cloud-based application for securing and digitally sign the documents with flexible workflows. This Product seems to design for highly Professionals, For the new ones it may be bit hard to understand all features in short time, It will required some time to have full understanding and get familiar with it. Although Product contains good user guides. Paper less work, Getting rid of hassle of papers. Best way to secure documents and revolve documents for approval or digital signatures between concern parties or group. Signing Hub allows you to securely and electronically sign documents on the web. You can integrate with Signing Hub using their Restful API with Json. As a software developer, I would prefer if signing hub provided a sample application. This would make it much easier for developers new to the product to get started. Our organisation was not able to find another product on the market that was able to fulfil the security requirements when electronically signing documents. If you need to electronically sign documents, then Signing Hub is your only option. We currently are using Signing Hub to electronically sign documents from our web application. How easy it is to use and how much quicker it is than having to send via post like I used to do! Being able to track the progress of documents is really useful and the alerts to help move the signing process along. I’d recommend this product to any business (or business department) that signs a lot of contracts and legal documents and needs to keep track and accelerate sign-off times but also ensure documents are secure. I enjoy using it so no complaints from me. More efficient and quicker signing process and the assurance of security and legality of the electronic signatures. "Producto Asertivo, Flexible y Escalable"
"QUICK EASY SECURE SIGNING SOLUTION"
"Perfect to Sign on the go "
"Ease of use and convenience for digital signing"
it is designed to be easy to integrate, configure and use in a wide range of business scenarios, bulk signatures are great and its workflow is seamless. It is used in our office globally approvals are met on time or projects are done with ease of collaboration. There is better accountability, traceability and audit. There is also a strong drive to promote a paperless ec-system, good for the environment. scanned documents from HP Scanner is not accepted. its too slow to respond sometimes. it needs to be reset or rebooted. It can also improve on the merging of documents to one pdf file from different sources. Also, the email notification takes more than 12 hours to be sent even if there has been changes in the signing flow. "Nice and easy to use - great user experience"
The ease with which you can create a workflow and keep the document under the control of its owner. The granular control of the document, for example, add text, add attachments. It is also possible by signer, to allow printing, downloading, the document access period, all in a simple manner. Nothing to point at the moment solved every problem we needed. Signing hub solution is easy to use. Just need to upload the document that you like to sign, add the required signatories and then send. The interfaces are via web browsers or singing hub mobile app. I like the new looks and feel of the signing hub. Tried and tested, now Id like to recommend to others. Go Green. The looks and feel of the signing hub app looks a little boring. I hope ascertia can come up with new and exciting look of the Signing hub app. We are trying to resolve delays in signing of documents. The company i worked with just small however, most of the required personnel are always on the go. 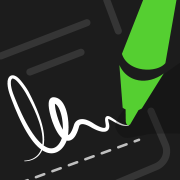 With Signing hub and its mobile app, the documents signing can be completed easily. It was offering a free trial when I needed it. Difficult to use. Instructions weren't easy to understand. the software did not notify me if the receiver had indeed opened the docs or signed the docs. I had to keep checking. The receiver didn't understand how to use it so I still had to lead them through it. Getting signatures for real estate docs. The system can use local AND server side signing. The system can apply Advanced Electronic signatures in terms of the ECT act of 2002. API to integrate digital signing into your own application. API does not support ALL the functionality of SigningHub. Contract signing. Vendor on-boarding. Prevents documents from being tampered with. Adds trust to business transactions. It´s a very intuitive platform, that makes our work easier and faster for signing contracts or other documents. No problems with this solution. On our tests and experience we had nothing to complain about. "Very User friendly for e-signatures "
Interface and design of the product is easy to understand and use. The SigningHub is a great product for e-signing, I like each part of it. We use it when we have to sign contracts with new clients. I like that it's a cloud based solution so my company doesn't have to go through the hassle of hosting and maintaining the solution. It's very user friendly and offers a secure way of singing documents digitally. Since you'll need internet connection to use SigningHub, it does sometimes becomes a disadvantage. * We monitor all SigningHub reviews to prevent fraudulent reviews and keep review quality high. We do not post reviews by company employees or direct competitors. Validated reviews require the user to submit a screenshot of the product containing their user ID, in order to verify a user is an actual user of the product. Hi there! Are you looking to implement a solution like SigningHub?